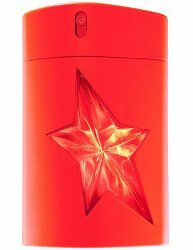 Thierry Mugler has launched A*Men Ultra Zest, a new limited edition fragrance for men. A*Men Ultra Zest is a flanker to 1997′s A*Men, and follows A*Men Pure Energy, A*Men Pure Shot, A*Men Pure Havane, A*Men Pure Malt, A*Men Pure Coffee and A*Men Pure Wood, among others. A*Men Ultra Zest was developed by perfumers Jacques Huclier and Quentin Bisch. Notes for the spicy woody citrus include tangerine, blood orange, ginger, spearmint, coffee, cinnamon, black pepper, patchouli and tonka bean. Thierry Mugler A*Men Ultra Zest is available in 100 ml Eau de Toilette. Will definitely try this, hoping the spearmint is nearly invisible or a remote bit player here. I will definitely try it too, although admit I am behind on A*Men flankers. It just gives it a freshness. The opening is going to be like a burst of fresh citrus. The mint amplifies the fresh tone, but you don’t smell mint. Obviously I am going to have to smell this, but my instinct is just to buy the damned thing. That bottle! I agree, I love the bottle. Orange!! Why are there not more flaming orange bottles?! This sounds definitely test worthy. I admire TM’s willingness to experiment or appear to experiment with these A*mens. Oh my goodness I just HAVE to try this!!! That bottle, it looks so cool!! Every one of the A*Men flankers has been available only in a 100-mL bottle, as far as I know, but they’re generally priced at about $90 or so, which is not outrageous. I wish they came in smaller bottles, too, though: I have two of them (Malt and Coffee) and I will never, ever use them up. I’d probably have them all if they came in 30-mL bottles. True! And like you I would also probably never be able to use up 100ml easily. Would also love to smell Pure Coffee as I love coffee scents. This sounds potentially awesome to me, as long as the spearmint and patchouli are very bit players. Patchouli has a starring role in all of the Angel and A*Men variants I’ve ever tried, so you may be disappointed. Pure Malt and Pure Coffee sound amazing, but I never got to try either. I have, and enjoy Pure Havane, but am not a fan of Shot or Wood. This has many of my favorite notes, so I’m holding thumbs! Oh dear! Sounds like my commute home will somehow take a detour through the Mugler counter. Orange! Wow! My favorite is Les Gout du Parfum, seems to have a little more coffee and a little less chocolate than the original A*Men to my nose. I also enjoy Angel Ice Men and B*Men. Bought Pure Malt blindly and completely regret it, yuk. Now I NEED the Taste of Fragrance one too! ……Aaaaaaaaggggghhh! Tried this today and actually quite ape joyed it – the citrus is right up front and I didn’t get any of the spearmint that was mentioned above as a potential worry.